Going through opioid withdrawal is extremely difficult for most individuals, whether they were taking the drug by prescription and as a pain management regimen or whether they were abusing it to get high. Anyone who takes narcotics chronically and for a long period of time (usually at least a few months) will experience this withdrawal syndrome. It is important to understand what it is like to go through opioid withdrawal before it happens. Narcotics cause a person’s pain tolerance to diminish. Therefore, when the individual stops taking these drugs, they will experience intense pain for at least the first two days. According to the NLM, “Withdrawal from opiates is painful, but usually not life-threatening.” However, it can be very uncomfortable for the individual for quite some time. Many individuals are tapered slowly off the drug instead of taken off it all at once. This is especially recommended by doctors of pain patients. Those individuals who have been abusing narcotics can often find the same kind of treatment at a detox facility. Still, pain is unavoidable with opioid withdrawal; a person will be uncomfortable and quite miserable, especially during the early stages of the syndrome. Withdrawaling from narcotics can produce flu-like symptoms. 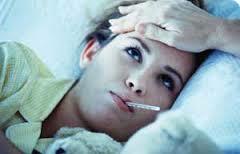 As for the other symptoms of withdrawal, they feel very similar to having the flu. In fact, “some people even withdraw from opiates after being given such drugs for pain while in the hospital without realizing what is happening to them.” They often just believe they have the flu and are surprised when regular flu medications do not work on the symptoms. For these reasons, withdrawal can feel like a bad case of the flu. When patients understand what they are really going through, however, they may begin to crave the drugs which is another reason why a tapering system can be beneficial. Individuals going through this syndrome will often begin to feel very irritable as a result of their discomfort. It can be extremely hard to get along with others, and withdrawing individuals often feel cranky. In addition, people may become anxious when unable to take the drug because they will still feel like they need it as a result of their waning dependence. It can feel like other people are constantly annoying you or not understanding your needs, but these issues will wear off with time. It is important to remember that many of your emotional reactions are being caused by the lack of opioids in your system and that these issues will soon disappear. According to Harvard Medical School, “The intensity of the reaction depends on the dose and speed of withdrawal.” However, most individuals who become dependent on narcotics experience similar withdrawal symptoms. Going through this syndrome often feels like having the flu as well as dealing with extremely painful muscle cramps and bone pain. The important thing to remember is that, eventually, these symptoms will subside, leaving you free of your opioid dependence.